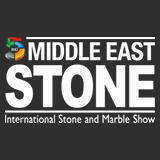 "Mena's Premier B2B Event For The Natural Stone, Marble & Ceramics Industry." Middle East Stone is a comprehensive event bringing with it all the major stakeholders of natural stones, marbles, tiles industry to a major platform to forge business ties. The event covers the most innovative natural stone, marbles, tiles and ceramic products as well as installation and maintenance solution providers from more than 30 countries globally. The event offers to connect suppliers, manufacturers and distributors to thousands of decision-makers . 5 27 May 2016 Madhusoodanan Nair Sales Manager at Rishi Rugs Pvt. Ltd.
5 05 Jun 2017 Bahara Marketing Head at mirport international logistics. It was very productive and hope we start benefit from meetings. 3 13 Jun 2017 Ahmed Mansour Regional Manager at Technistone, A.s. Some of the products and services available here are Finished stone building products & coverings for interior, facades and exterior use, Semi-finished stone products, Finished stone interior design or artistic items, Engineered stone and more.